Each basket contains a 5 oz Rosemary Gardener's Soap, a 0.15 oz. Peppermint Lip Balm, a 0.4 oz. Comfrey Salve, and a 2 oz. Gardener's Spray. Perfect for camping, gardening, or yard work! 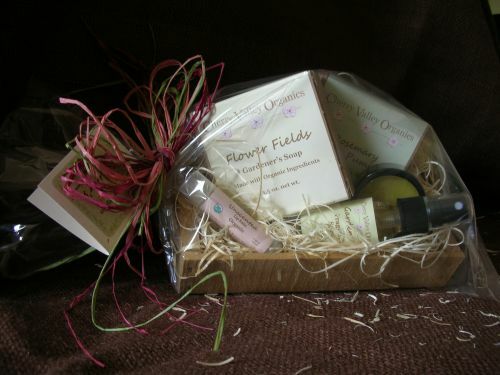 Products are contained in a cute little basket wrapped with biodegradable cellulose, a raffia bow, and a CVO gift tag.